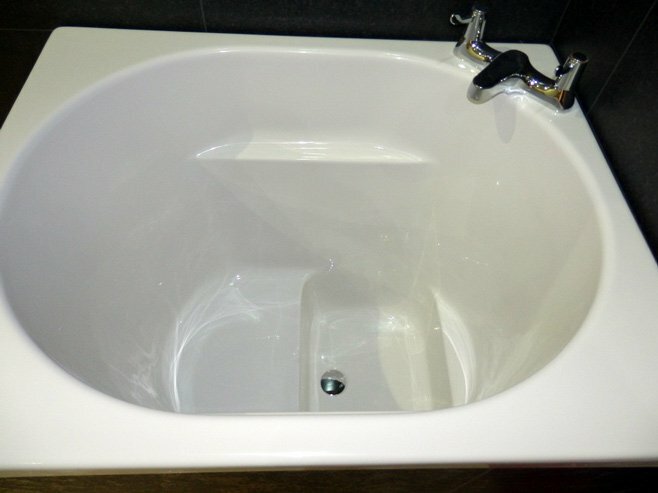 This is a slightly narrower shell to go where space width wise is restricted, It would be recommended to create a set of steps for easy access over the top of the bath. Corner mounted tap position. Thanks to Gail for sending in a picture of her newly installed Bengoi bath, fitted with spa and light.